Occipital took to CES to show off its 3D scanning technology and how it can be used with iOS devices, including the Canvas app and Structure accessory that can quickly scan a room using an iPad, and the Bridge headset that turns an iPhone into a mixed reality device. The company's room-scanning system consists of two separate parts. 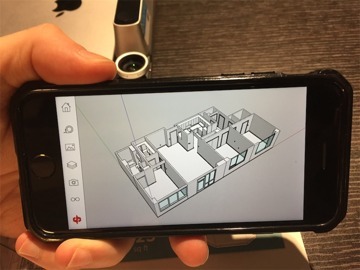 On the hardware side is Structure, a mobile depth sensor that fits onto the back of an iPad that can be used to capture a 3D model of whatever is in front of it, including small and large objects, and the overall layout of a room. Occipital claims Structure to be the most popular device of its type for orthotics and prosthetics, due to being able to create a 3D model within ten seconds, one that is also accurate enough to create prosthetics or orthotics for patients. Canvas, the app running on the iPad, is used to quickly create a 3D model for an entire room. After starting the scan and walking around the room, the model is built in real time, with the hardware capturing thousands of points of data for an accurate 3D map. The combination of the two has the potential to save time and money for professionals dealing with architecture and construction. Constructors have used the system to measure a space quickly, using the model to redesign the space before flipping the house. 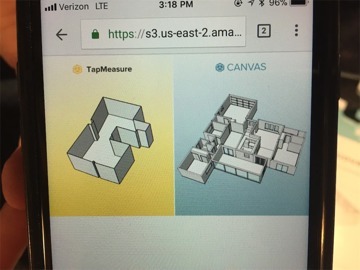 It also has a market for kitchen remodels, by creating a model that can be provided to contractors with accurate measurements for the space, allowing for them to make quotes without turning up at the home. Lastly, consumers can also use the tool to model rooms they wish to redecorate or add furniture to, and be able to see if there is enough space for new items to fit. The company also showed off its own mixed reality product, the Bridge. 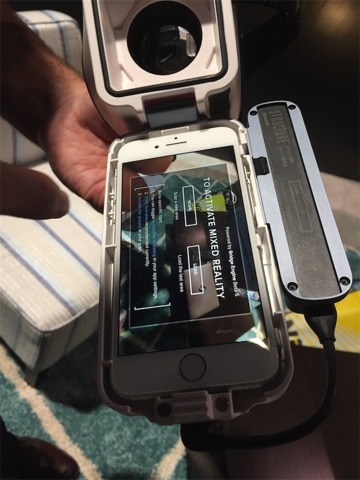 The headset includes a space at the front for an iPhone X, iPhone 8, iPhone 7, or iPhone 6s to be installed, similar to some other ski mask-like goggles, but has a space above the iPhone to add a Structure sensor. 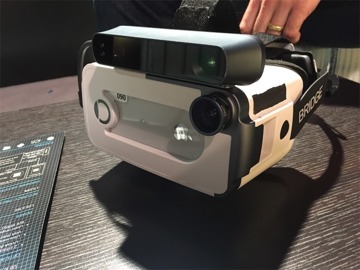 Combining together data from the iPhone's camera and the Structure, Bridge is capable of providing mobile room-scale VR with six degrees of freedom for compatible apps, which developers can add with a Unity plugin. 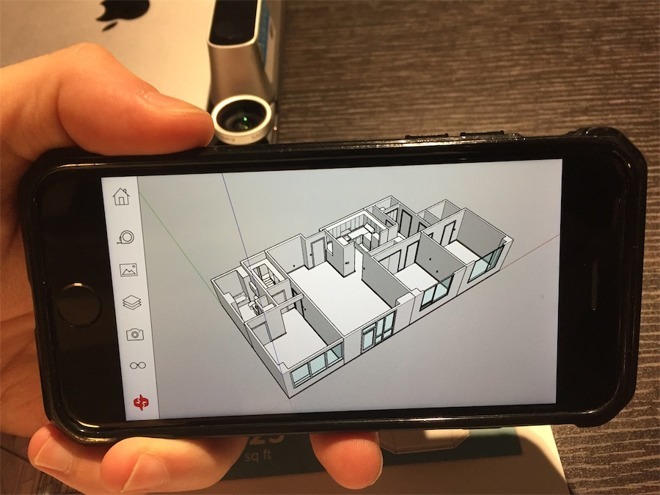 It can also create a mixed reality view for the user, overlaying digital images over a live feed from the camera, and using the sensor to locate surfaces and landmarks in a room that apps can use. 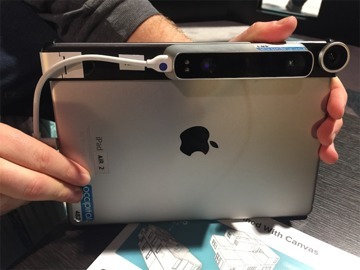 The Structure sensor is currently sold for $379, complete with a mounting bracket for one of a selection of iPads, while the Canvas app is free from the App Store, though it requires the sensor to function. The Bridge headset costs $399 with the Structure Sensor, or $279 for the headset alone.